do not pay federal or state taxes. much of their education is paid for by the tribe via workforce development or other social agencies. How can one explain the ironies of monthly checks, incredible tax breaks and other government provision, and persistent poverty? Government Dependency is an insidious thing. “”Todd’s family had worked hard to escape a rut that some find themselves in when faced with harsh conditions. They saw that when government programs started growing, sometimes citizens became dependent on the programs and abandoned the strong work ethic of their elders. This resulted in too many young people giving themselves over to a dependent lifestyle that often leads to fractured families, abuse, subpar education, and other problems.” – Sarah Palin referring to her Native American husband, Todd. 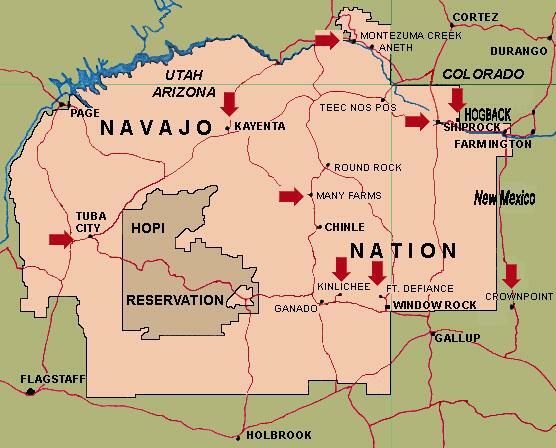 Working and living on the Navajo Nation the past year has confirmed Todd Palin’s observation. I’ve also seen it on the nearby Hopi Reservation, and I saw it on the Alabama-Coushatta Reservation when I worked with them several years ago. Is the same thing happening to the U.S. general population? Hmmm.